If there’s anything the progression of the automotive industry across the years has taught us, it’s that when it comes to building compact sedans that are both fun and economical, East Asian manufacturers have been and will continue to be kings. 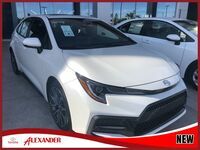 For an example of this, look no further than the 2018 Toyota Corolla and Hyundai Elantra models. These Japanese and South Korean model stalwarts have proven time and time again that they can take you where you need to go for prices that won’t break the budget, but with plenty of good times on board that won’t break your spirits either. 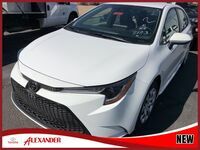 There’s plenty to unwrap with these two models, so come join Alexander Toyota today as we take you through some of the research that we’ve put together on the Corolla and Elantra models. We think you’ll be surprised by what these two can achieve! 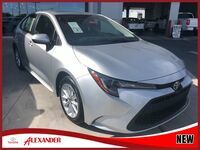 All of these innovations come standard, by the way – no matter how you look at it, the 2018 Corolla is highly in tune to everything you need to make the drive fun and enjoyable. Contact Alexander Toyota today if you want to schedule a no-hassle test drive, and we’d be happy to accommodate!